Britney Spears did a classic in Las Vegas and got married to friend Jason Allen Alexander. While her reputation was still relatively clean at this point (her great meltdown occurring three years later), this would spark one of the earlier signs of her tempermental decline. The marriage, clearly a mistake, was annulled 55 hours later. They could have at least given it a try. Franz Ferdinand- "Take Me Out"
The alternative rock band best known for their song "Take Me Out" released said song in the first month of 2004. It would chart at number 3 in the UK Singles Chart and go on to become the recognisable number behind many promotional ads- such as for the PSP and the Guitar Hero series. It also reached number 27 on NME's 2011 list for the "150 Best Songs of the Last 15 Years." Yes, the wacky smash hit that was "Milkshake" is ten years old and of course Kelis has been unstoppable since its release. Since 2004, milkshakes have become more diverse with shake shops dominating and closing down soon after, around Dublin and various other regions in this country. As a word of advice, I reccommend against having a caramel bar as an ingredient. It clogs the straw. Having just had the 71st annual GG last night, I thought it would be a nice idea to look back on what films were creating a buzz back in 2004 Hollywood. 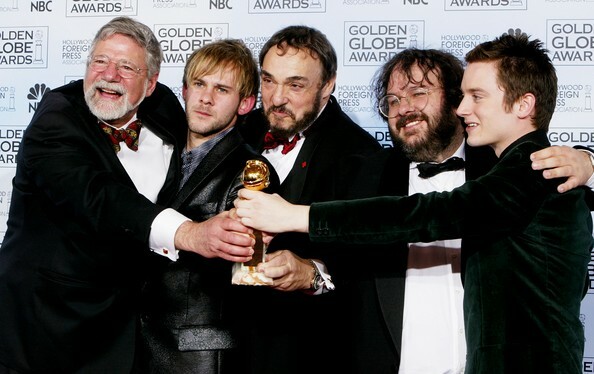 It would be the final chance for Peter Jackson's greater trilogy to pick up the prizes and the final film did so in terrific fashion, earning the prize for Best Director, Best Drama, Best Original Song and Score. Elsewhere, Sean Penn saw success by becoming the 61st Best Actor in a Drama for Mystic River and Charlize Theron established her name with a Drama winning performance in Monster. And that's all for this edition. Was 2004 an interesting year? Probably not but maybe these moments have brought back a few memories! What Does This Picture Of Britney Spears, Fake News And Gun Violence Have In Common?